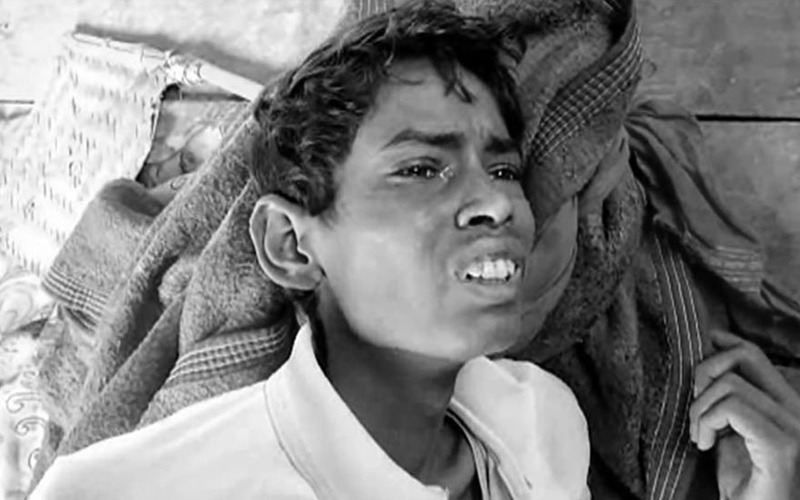 A video grab of 26-year-old Feku, a resident of Khirkia village in Kushinagar district of Uttar Pradesh. “CM-ji, my older brother died of hunger, please save me,” Feku said. He fell into a coma soon after and died in a government hospital at 5:30 a.m. on September 14, 2018. Pappu and Feku’s deaths are among the five reported from Kushinagar since April 4, 2017, that point to starvation as a possible cause, or at least a major factor. 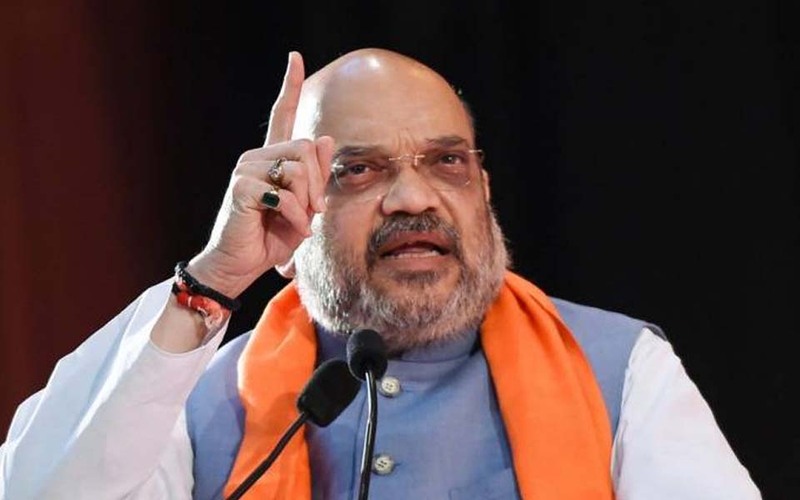 Kushinagar, Uttar Pradesh: "CM-ji, my older brother died of hunger, please save me," hissed a skeletal figure in a video taken by freelance journalist Anoop Kumar on September 13, 2018. The emaciated face belonged to 26-year-old Feku, who fell into a coma soon after and died in a government hospital at 5:30 a.m. on September 14. Residents of Khirkia village in Kushinagar district of Uttar Pradesh (UP), brothers Feku and Pappu, a year apart in age, died within 16 hours of each other on September 13 and 14, 2018. Both had been starving and ill for several months, their mother Somwa, a 50-year-old widow, told IndiaSpend on September 25. She stood near a small tent under which a priest and several men were preparing a bhoj, a ceremonial meal, to commemorate the death by starvation of her two youngest sons. Some local politicians and the village head (pradhan) had donated food after her sons’ deaths. Both men had had "a fever, and their whole body would shake”, Somwa recalled, squinting as the harsh sun hit her weathered face. The family had not eaten in days, and her sons had had lesions inside the mouth. Somwa and her family belong to the Musahar community--a Hindu ‘Scheduled Caste’ traditionally occupied as rat catchers, or, as a popular belief goes, a caste so poor that they chase mus or rats for a meal. Her sons' deaths are blamed on different causes in various government documents--at first, the doctor told Somwa they had dengue; then, the chief medical officer said they had tuberculosis (TB); finally, their death certificates said they had died of cardiac failure. "I don't know what they had, but no one at the hospital would listen to us," Somwa told IndiaSpend. 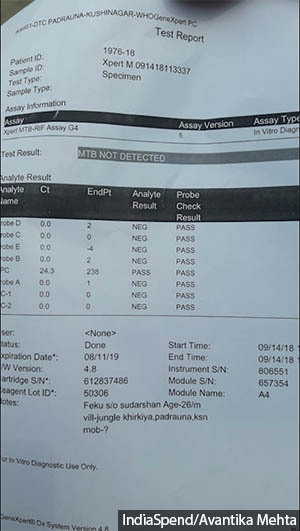 The report from the district TB centre shows Feku did not have tuberculosis. The deaths of Feku and his brother Pappu are blamed on different causes in various government documents--at first, the doctor told Somwa they had dengue; then, the chief medical officer said they had TB; finally, their death certificates said they had died of cardiac failure. Pappu and Feku’s deaths are among the five reported from Kushinagar since April 4, 2017, that point to starvation as a possible cause, or at least a major factor. IndiaSpend visited the district and its villages to investigate these deaths, and found that the lack of jobs and denial of subsidised rations under the public distribution system (PDS) have subjected large numbers of people to ill-health, starvation and death. Meanwhile, the government healthcare system is not only failing to prevent these deaths, the government machinery is actually helping cover up these starvation deaths by ascribing other reasons. At least 56 hunger deaths have been reported in India in the last four years, 42 of these in 2017 and 2018, according to a report compiled by IIT-Ahmedabad economist Reetika Khera. Reports of hunger deaths are particularly frequent from two states: Jharkhand and Uttar Pradesh, which have reported 16 cases each. Most starvation deaths have been traced to denial of 'ration' from PDS shops, which sell subsidised food grain to the poor who are registered with the government as falling below the poverty line (BPL), or denial of access to pension accounts for the elderly and widowed. Most of the victims belonged to disadvantaged groups such as the Dalits, Adivasis (tribals) and Muslims, Khera's research shows, adding that the Musahars, who live mostly in UP and neighbouring Bihar, have been the worst hit. Khera’s research checks out in Kushinagar. While its economy is almost entirely dependant on agriculture and the sugar industry, Kushinagar lacks proper sources of irrigation. “Lack of infrastructure facilities, like, entrepreneurs, skilled labourers, capital, technology, power sources, transport and communication facilities etc; socio-economic backwardness and lack of political-will are responsible for backwardness in (sugar) industrial sector (sic),” a 2016 report by the Indian Institute of Geographers said. The report noted six sugar mills in Kushinagar, but when IndiaSpend visited, only four were working. These are concentrated in two of the 15 blocks, Hatta and Padrauna, so job opportunities are limited to a small area. The effects of muted economic activity are evident from the most recent Census data--65% of the district’s population has no work (termed non-workers), 14% of the people have not worked for over six months (marginal workers), and only 19% have worked for six months and longer (main workers). The effect of this overall failure is felt most by the rural population, who constitute 70% of Kushinagar’s population, and acutely so by marginalised communities such as the Musahars. As many as 91% of Kushinagar’s Musahars depend on physical labour as they have no land of their own to cultivate, according to a 2016 report by the German development organisation, AWO-South Asia. The Musahar community earns Rs 9,105 per year while all the other communities in Kushinagar record income levels of more than Rs 36,000 per year. The health indicators of Kushinagar’s Musahars are not encouraging. Their infant mortality rate is 82 per 1,000 live births, more than twice the Indian average of 34 deaths. As many as 89% of Musahar children are not born in hospital, and only 19% of the Musahar community in Kushinagar have access to healthcare services, according to AWO-South Asia statistics. Of all Kushinagar residents, 25% of the male population and 28% of the female population had below normal body mass indices in 2015-16, as per the fourth National Family Health Survey. And within these, the poorest and most marginalised are the worst affected. Take the case of Feku and Pappu. Somwa and the villagers of Khirkia, mostly populated by Musahars, alleged that Pappu and Feku had died of hunger. Just two months ago, the brothers had returned from Punjab, where they had gone to seek work, as villagers frequently do. They returned with little money, Somwa said, though she did not know why. Neither brother had found work in Khirkia, not even under the Mahatma Gandhi National Rural Employment Guarantee Scheme (MGNREGS). Somwa, a widow since 20 years, would get 35 kg of ration under the Antyodaya Anna Yojana, which provides highly subsidised food to the poorest among BPL families. Feku and Pappu, who lived with her, were enrolled on her card. Often, the family would buy only some of Somwa’s entitlement because they could not afford more. Even when they could, the total entitlement of 35 kg was not enough to feed three people for a month. Somwa's home is a 30-sq-ft hut where once she lived with her sons. Sticks and a few bricks make up a patchy roof. "When it rains the water floods the house," she said. A tiny makeshift wooden bed sat at one corner. A gas cooker lay in the middle, unused. After her sons’ deaths, local politicians and the village pradhan donated some grain to her. "They came and handed me grain as if I'm a beggar," Somwa said, perturbed. "I used to work as much as I could--as a labourer, on someone's farm, anywhere I could get work privately. Sometimes I would have to ask neighbours for leftovers. That's how I tried to feed my family, but..." her voice trailed off and she pointed speechlessly at her run-down empty hut. Other villagers also complained that no one had received work under MGNREGA for years, leaving many unable to buy PDS ration or food from the open market. "If we get work for a few days, it's not through MGNREGA. Every adult in the village has a job card, but no pradhan hires us saying there is no work to give,” said Ram Raj, 40. “Outside, if we work for one day, for eight hours of work, women get Rs 50, and men can sometimes make Rs 300, but the work is sporadic at best." 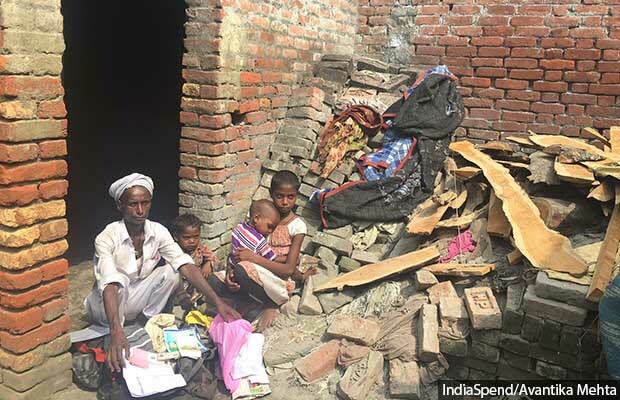 In nearby Rakwa Gulma Patti village in Seorahi block of Kushinagar, where a 40-year-old Musahar woman named Sangeeta and her 10-year-old son Shyam had died on September 7, 2018, villagers allege nepotism in how MGNREGS jobs are given out. The MGNREGA job card of Birendra Singh, the late Sangeeta’s husband, was issued in 2017 but is entirely blank. “The pradhan gives MGNREGS work only to special people,” he said, implying family and friends or those who will give a kickback to the pradhan in return for work. The job card issued to Birendra Singh under the Mahatma Gandhi National Rural Employment Guarantee Scheme is completely blank. Other villagers also complained that no one had received work under MGNREGS for years, leaving many unable to buy PDS ration or food from the open market. This is the norm throughout Kushinagar, said Congress member of legislative assembly (MLA) Ajay Kumar Lallu. "The job card is a showpiece. What is happening is that instead of benefiting the poor, labourers, Dalits like it was supposed to, the MGNREGA scheme is being misused by the officers like pradhans--they get job cards in the name of their family members and friends, and give jobs to only these people, so the money gets transferred into the family itself," he said. The village pradhan, Savita Devi, was not available to comment and reportedly never stepped out of her house. "I do all of Savitaji's work, and you can say she keeps records in the house," her brother-in-law Punnu Verma told IndiaSpend, grinning widely, adding that their family owns a jewellery shop and makes about Rs 5 lakh a month. There had been no jobs available to give under MGNREGS, Verma said, sitting among several tall and robustly built men like himself. He alleged that the Gram Sabha (the forum that decides what work should be undertaken under MGNREGS) demanded a commission of 5% on any job demand the pradhan would raise. He added that the MGNREGA wage rate, Rs 175 per day, was too low and should be increased to attract more people to demand jobs under the scheme. Despite numerous calls to the office of Satish Singh, the district programme coordinator for MGNREGS, IndiaSpend was unable to reach him. On two occasions, Singh’s mobile phone was answered by a man who said he was an assistant and that Singh was in a meeting and would call back, but he never did. The additional district programme coordinator (APO), Parveen Kumar, said the state government was doing the best it could with the resources at hand. Nevertheless, he agreed that the MGNREGA daily wage should be increased, and the time taken to transfer payments to workers’ accounts reduced from the current 14 days, which, he said, is too long for the very poor who “live hand to mouth”. “There has been delay more than that at times, sometimes two months or two-and-a-half months,” he said, “What happens is that our labour budget falls short and we have to get more work done. At that time, we have to ask the Centre for more money. There is a time delay in getting the money from the Centre." The delay in MGNREGA wages does deter people from demanding jobs, but other factors are at play, too, said Lallu, the MLA. Earlier, digging of drains, soling of structures (building the bottom-most hard layer), building of mud roads, etc. was done through MGNREGA, but not anymore, he said. For example, after using mitti (soil) to build a mud road, if building the pavement requires cement, work may get held up as the government may have put a stop to pakka works that year. “For this reason, a lot of work is incomplete, and people are afraid to take it on,” he said, explaining why many people are not getting jobs under MGNREGS. The ration shop at which Khirkia's residents buy their food is more than 2 km from the village. Lacking any means of transport, they walk the distance and back. The owner, Ram Prasad, agreed that the amount of ration allocated is not enough. “[I]n 35 kg, I would say three to four people can eat for about 15 days at most. When they don’t get to eat, they get weak and fall sick easily. 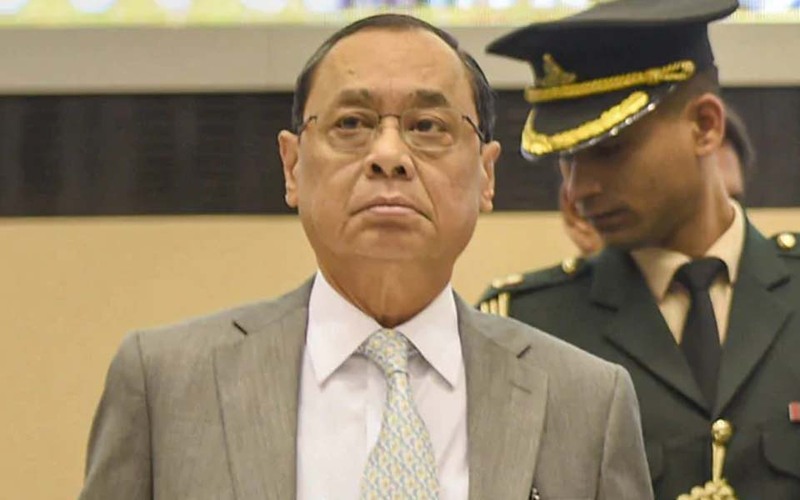 But the amount of PDS ration is not for me to decide," he said. The National Food Security Act, under which all programmes to provide subsidised food are administered, is riddled with petty corruption, said Lallu. The legislator is referring to the state government’s initiative whereby people can apply for new ration cards online through the website fcs.up.nic.in. 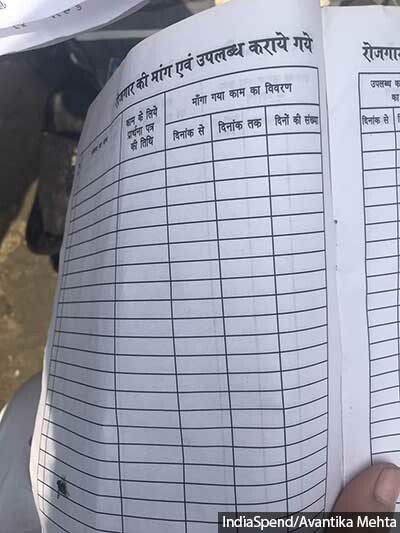 After applying for rations on the internet, during the time it takes for the administration to send them a permanent ration card, people get a printed slip with their ration card number and names of those registered for PDS. “Now the names on these [online ration card] lists can change daily. You go to the office and pay Rs 200, the person on the computer will put your name, then three days later someone else's name can be put, and yours is gone," Lallu said. One such bungling cost Subhash Singh of Amvivari village his life. The poor, upper-caste farmer, his wife and their four children--three daughters and a son--lived in the depths of poverty ever since Singh had mortgaged his 10 khattas (one khatta equals a quarter hectare) of farmland to pay for the weddings of two daughters. Then, on April 3, 2017, Singh complained of chest pain and collapsed, frothing at the mouth. Concerned villagers collected money to take him to hospital, but he was pronounced dead on arrival. Recently, the government distributed gas cylinders to some households, including Somwa's and Ram Raj's in Khirkia. "The first month is free, so I guess we will all use it. I don't know when I'll get work next so by next month there will again be no gas in the house," said Ram Raj. With no toilets in their huts or in the area and having never heard of Swachh Bharat, Khirkia residents routinely fall ill. Chhotey, 20, had been admitted in the district hospital for several days when IndiaSpend visited. With his brother unable to find work, Chhotey was the sole earner in a house of four--his mother, his brother, and his sister-in-law Mamita who was alone in the house while her husband looked for work. "Chhotey has a fever, and it won't break," Mamita said. "My husband took him to the hospital, and they say he has TB, but he wasn't coughing nor have any of us gotten sick living in the hut with him." When he was well, Chhotey would take up odd jobs at local construction sites or farms, "wherever he would find it". With Chhotey in hospital, Mamita worried for her family's future. "We got ration on the September 7, but it is finished,” she told IndiaSpend on September 25, 2018, “I don't know now how we will get food." The complete absence of basic facilities was evident in Rakwa Gulma Patti village, too, where 40-year-old Sangeeta and 10-month-old son had died on September 7, 2018. The news channel NDTV showed the villagers alleging malnutrition while the government said the mother and son had died of diarrhoea and food poisoning. The post-mortem report accessed by IndiaSpend does not state either and lists the cause of death as unknown. The medical officer had reportedly sent the viscera for further testing, but no one could tell us when the results would come. The two had died in an ambulance on the way to another hospital that they had been referred to. The post-mortem report records Sangeeta's time of death as 2 p.m. on September 7, 2018--the same day she was brought in. The remainder of the family, three girls--Laxmi (10), Sita (2), and Suna (10 months)--sat by their father, unsmiling, listening once again to the circumstances that had led to their mother and brother's deaths. Laxmi had also fallen sick along with Sangeeta and Shyam. She had not eaten much on the day she was admitted, and had survived, but had spent a week in hospital. She recalled that her intravenous fluid drip had been changed several times but not much else done by way of treatment or nourishment. Birendra Singh and his daughters Sita, Suna and Laxmi. Birendra’s wife Sangeeta and 10-year-old son Shyam had died on September 7, 2018. Villagers say they died of malnutrition, while the government said the mother and son had died of diarrhoea and food poisoning. The post-mortem report accessed by IndiaSpend does not state either and lists the cause of death as unknown. The only way to reach the village is through a labyrinth of dusty roads where huge stones and overgrown trees block the path at every second turn. One shabby toilet is shared by the entire village. The only toilet in the village has no discernable plumbing. A pit toilet, it has no means of flushing, and the villagers empty out the faeces into a nearby river every few days. A tank is affixed to the wall on the outside, of whose purpose the villagers had no idea. "The toilet is according to the specifications given by Modiji's scheme,” said Punnu Verma, “The specs say there must be a tank so I have made one--the government gives Rs 12,000 to make one toilet. What more could I have made?" The nearest district hospital, over an hour away, is understaffed and understocked to the extent that Birendra was asked to buy paracetamol from a private pharmacy. Rakwa Gulma Patti has one water pump for its 150-odd residents, and many complained that they could not extract fresh water from it. "Sometimes a fish or a rodent dies inside the well, and no one knows until the smell becomes impossible to ignore, and the colour of the water turns yellow," Rajalaxmi, 30, said. This water is used to bathe, wash clothes and sometimes to drink and cook. "When we have money, most of us try to avoid taking water from the pump,” she said, adding that they sometimes buy bottled water from a kirana store just outside the village. “We have complained to the pradhan, but no one listens," Rajalaxmi added. At the time IndiaSpend visited the village, the water extracted from the pump was a dark yellow with dirt floating on top. 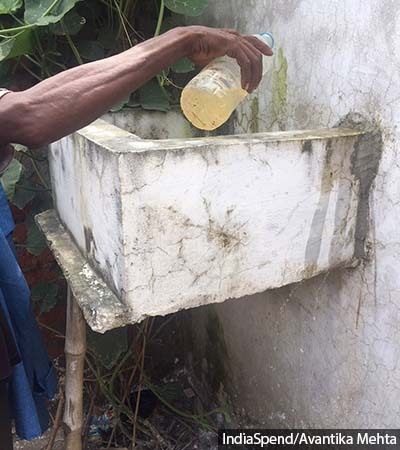 Rakwa Gulma Patti village has one water pump for its 150-odd residents, and many complained that they could not extract fresh water from it. At the time IndiaSpend visited the village, the water extracted from the pump was a dark yellow with dirt floating on top. Several villagers had fallen sick from urinary tract infections and/or developed kidney stones. The district hospital was not equipped to handle these cases, and villagers sought out private healthcare as and when they could afford it. "Four people are sick with kidney stones, my father is among them," said Rajinand, 25. The district hospital referred his father, Rudal Prasad, to Gorakhpur’s Baba Raghav Das Medical College. Rajinand accompanied his father there but was sent away unceremoniously by the security staff. Threats of violence against the kin of those who are ill are frequent, the villagers alleged. Sangeeta's mother said when she realised her daughter and grandson had died, she had told the ambulance driver. "He said keep quiet, or I'll throw you out of the car," she said. The poor of Kushinagar, especially the Musahar, feel neglected by the government but helpless to do anything. In Feku and Pappu’s case, despite the medical reports disproving the TB hypothesis and the lack of any other plausible cause of death, UP Chief Minister Yogi Adityanath denied the men had died of hunger. The first step to solving a problem is acknowledging it. And here, the UP government has already failed.